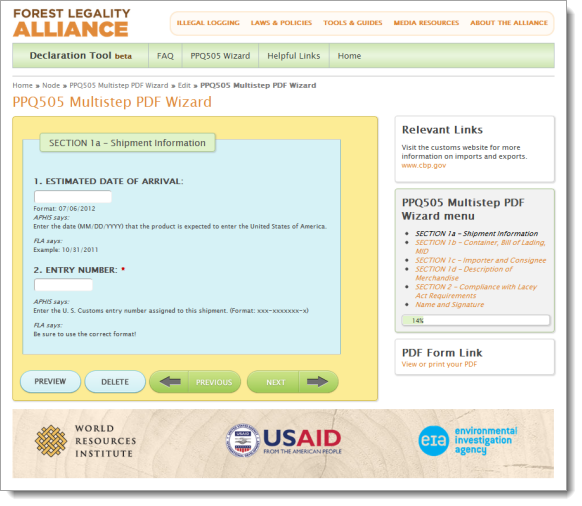 The Forest Legality Alliance, a joint effort of the World Resources Institute and the Environmental Investigation Agency, partnered with Blue Raster and others around the world to release two new web tools to help in their efforts to reduce illegal logging by supporting the supply of legal forest products. The recent focus on illegal logging has made people wary of buying forest products from countries that are perceived to be high risk. By providing useful advice and information about the due care process and supply chain facts, The Forest Legality Alliance hopes to reduce the effort of exercising due care with its new Risk Tool. 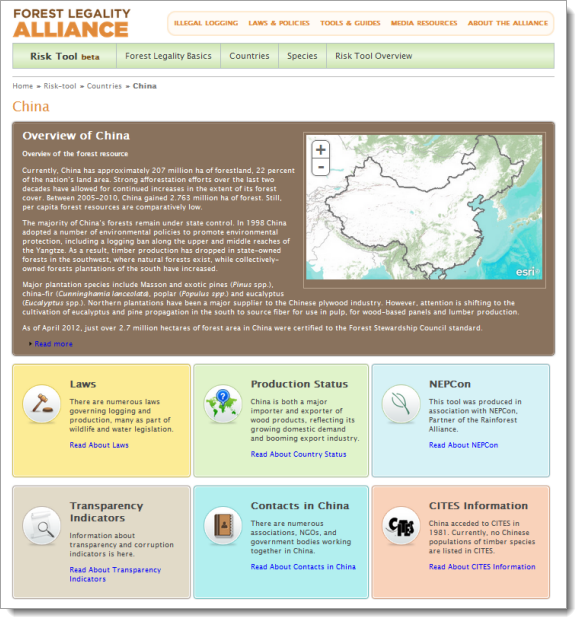 Using the Risk Tool, users can search for information about the forest products trade and relevant legality information by country or by species. The goal of the site is to make it easier, cheaper, and less painful to examine forest product supply chains and improve transparency in the marketplace. The Declaration Tool is designed to help importers understand the rationale for the Lacey Act Declaration (PPQ Form 505), which is required by the U.S Department of Agriculture for importers of wood products. The tool helps to reduce confusion over the data entry process by providing a wizard interface that steps through the PPQ505 Form, FAQs, and reference materials. The Declaration Tool also helps importers understand the importance of this form and its role in preventing the trade of illegal wildlife and plants.